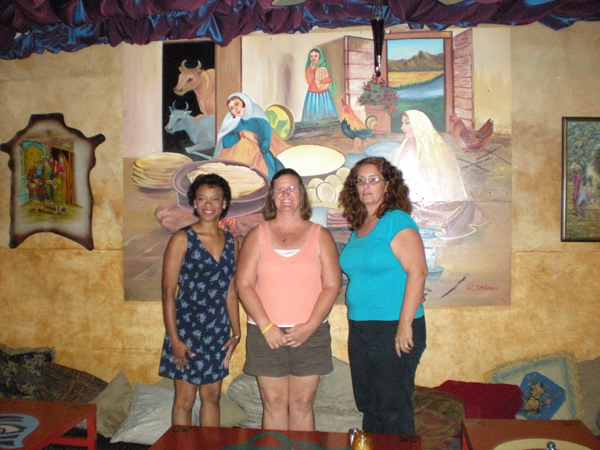 On Sunday, June 28, Tamara Harris 88, Jayme Crehan (Nichols) 87 and Ayse Watson (Moore) 84 gathered with family and friends at Cafe Istanbul in Decatur, Georgia. According to Ayse, "We only had three of us there that went to school in Ankara along with family members, for a total of 11. We still had a great time. The restaurant was great." 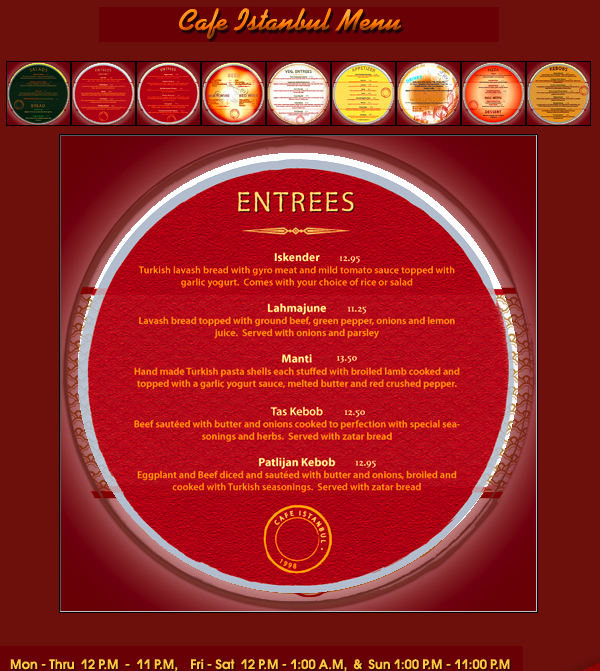 We have included a portion of their menu which we found on the Cafe Istanbul web site. If you live in the Atlanta area, this is a must restaurant. And as long as you're going, use our Registry Search and contact the 61 alumni (that are available online) that live in the Atlanta area and have a major mini reunion. What are you waiting for??? ?